A series of illegal sideshows in San Jose last weekend left behind far more than tire marks. At least one forced some businesses to shut down hours early. One of the dangerous car stunts occurred in the parking lot of Grocery Outlet across the street from City Hall. 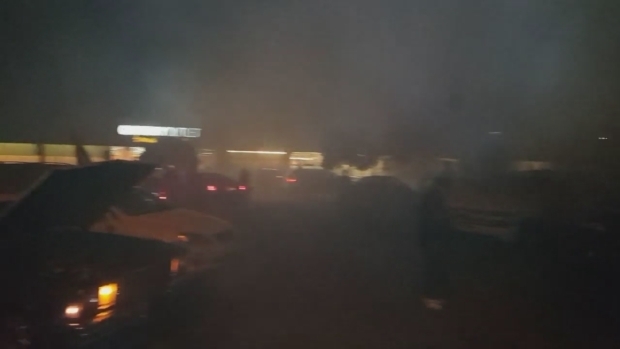 A video show dozens of cars burning rubber, spinning donuts and revving engines in the downtown San Jose parking lot during an early Cinco de Mayo celebration. 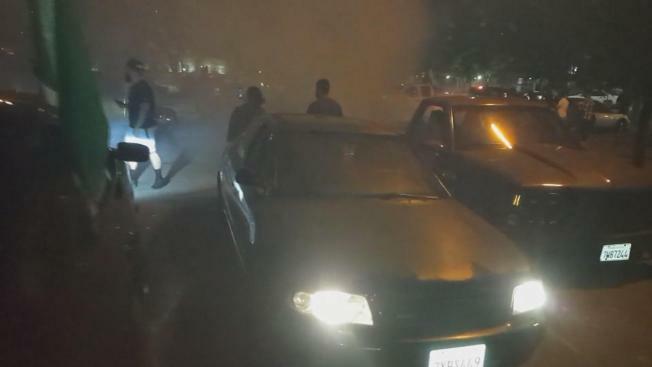 A series of illegal sideshows took place in San Jose over the weekend, with lots of burning rubber, revving engines and spinning donuts. Around the same time, a similar scene played out about 6 miles south near Tully and Senter roads. Resident Amy Bedillo said she ran into another illegal sideshow at King and Story roads in East San Jose. She said it was so big, police wouldn't let her drive into the San Jose Plaza parking lot. "They were having a sideshow, but it didn't last long because there were a lot of cops there," Bedillo said. "They closed the center and kicked us out because there were too many people doing donuts inside." Araujo's Mexican Grill said the stunts ultimately forced the restaurant to shut down three hours early. "A lot of cars and four-by-four trucks burning out," said Nathan Casper of Araujo's. "It was kind of scary because there were a lot of kids with families. Ended up police shut down the plaza, and we had to close for business." Casper said it's not the first time sideshows have sidelined businesses. "This is the fifth year it happened," he said. San Jose police said they did not make any arrests in connection with the sideshows.